The National Park of Monfragüe is located between Navalmoral de la Mata, Plasencia and Trujillo, it is one of the most important ornithological zones in Spain. In this amazing enviroment, imperial eagles, black vultures, and tawny vultures fly over the park. This natural area is 30 km long and 7 km wide, is a valley crossed by Tagus and Tietar rivers. The municipality of Villarreal de San Carlos is one of the entrances to the park, moreover there is an interactive centre to know the species and vegetable life of Monfragüe. Serradilla, Toril or Torrejón el Rubio are other towns that surround the area. The territory the national park occupies is one of the best well-known natural areas in Extremadura. The first settlers left cave paintings as a proof of their stay in Monfragüe. Later on, Romans called the place as Mons Fragorum, dense mountain. From that momment on different people who have settled here have adapted the area but respecting the landscape. 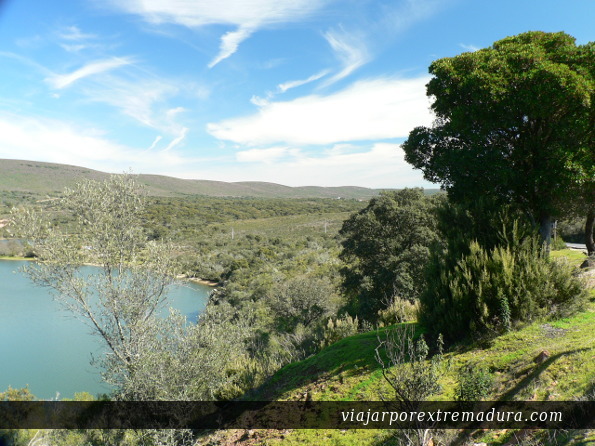 The National Park of Monfragüe is a clear example of Mediterranean forest and thicket; it is placed in Cáceres province, right in the centre of a triangle formed by Navalmoral de la Mata, Plasencia and Trujillo. It was declared Natural Park in 1979, 17.852 hectares reveal one of the most extensive Mediterranean forest nucleus. Holm oaks and cork oaks intermingle with rockroses. Strawberry trees, heathers and mastics intermingle with ashes, willows and hollies. From cracked quartzite junipers emerge. In Monfragüe a wide variety of ornithological species nest. It’s the perfect place to practice birdwatching. Moreover, 280 species of the most significant animals of Spain inhabit the park. Eastern imperial eagle, black vulture, black stork, or iberian lynx stand out, some of them are in danger of extinction. In particular about 250 black vulture couples nest here, it is the greatest black vulture reserve in the world. 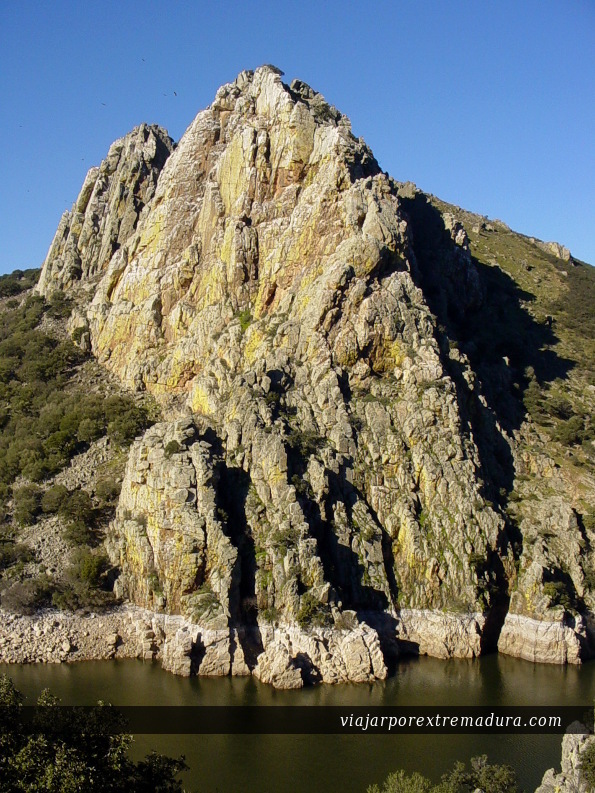 Water is one of the key elements, Tagus and Tiétar rivers surround Monfragüe, and their waters carve in the quartzite rocky outcrops where tawny vulture colonies settle, and peregrine falcons, bonelli’s eagle or eurasian eagle-owl nest. On the riverside and watercourses live kingfishers, cormorants, or nightingales, as well as animals that live in the water such as the otter. 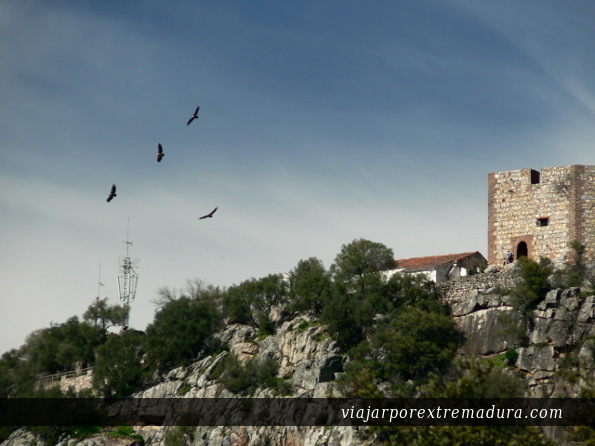 Monfragüe has been recently declared as National Park because of being a singular unique Spanish biodiversity space. Thus, it belongs to the Spanish National Parks Network.